This view from behind the green shows some of the meadow flora and the convoluted topography of the blind green of the uphill par 5, 16th hole of the Bandon Trails Course of the Bandon Dunes Golf Resort, Bandon, Oregon. 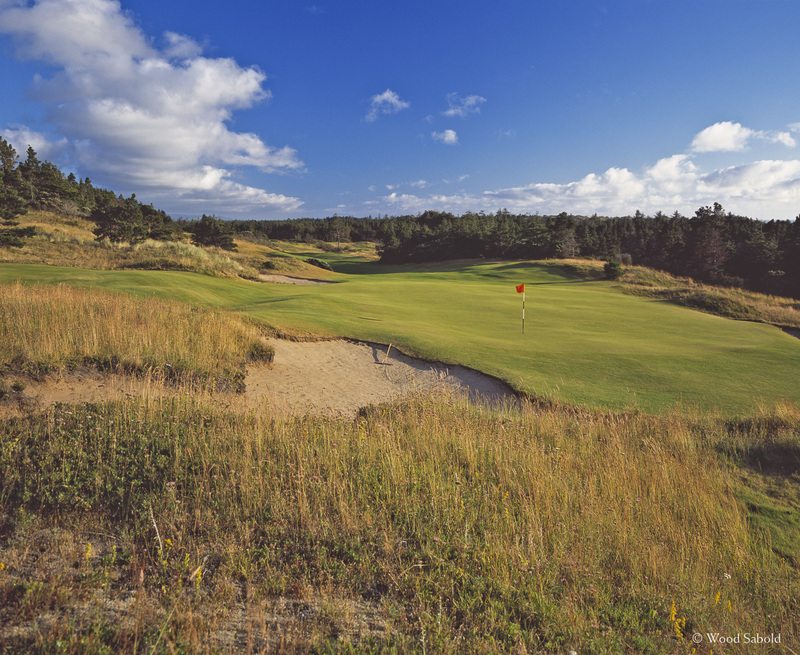 Local knowledge of the green’s contours is important to avoid approach shots diving to the left into a series of small bunkers after thinking a shot played to the middle of the green would end up safely. Bandon Trails is the third course of the acclaimed Bandon Dunes Golf Resort. The course opened in 2005. Architect, Bill Coore and Ben Crenshaw.